Our factory trained technicians have the knowledge, expertise and tools to diagnose and correct even the most difficult alignment problems. 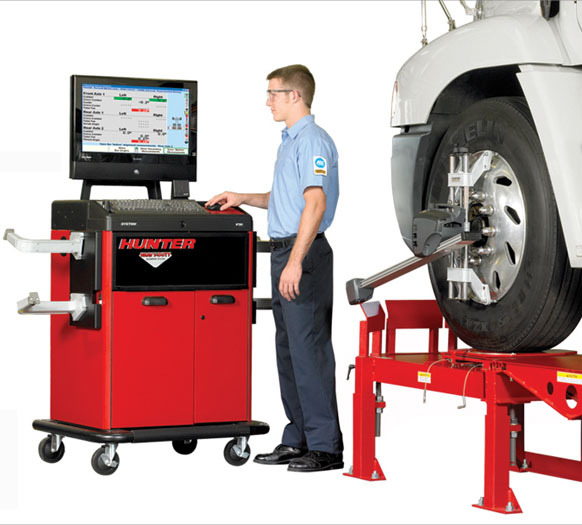 We use the latest Hunter Engineering computer alignment systems to assure that you are getting cutting-edge alignment evaluation and corrections when needed. We offer Heavy Duty Truck and Trailer, Light Duty Truck and Passenger Car Alignments. We also offer complete frame down mechanical services at our Salt Lake City, Orem and Billings locations.